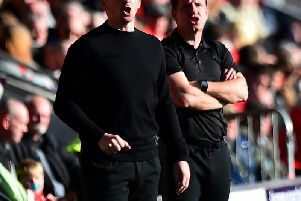 Barnsley player Cauley Woodrow made the claim that Barton had attacked Stendel in the tunnel after the game. The Gazette understands that Stendel was knocked to the ground in the tunnel but neither club have confirmed how or if the incident occurred. 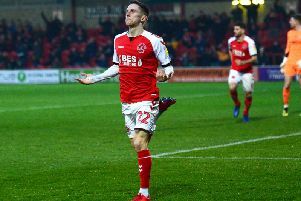 Woodrow Tweeted: "Firstly @ftfc (Fleetwood Town) to have a manager that can physically assault another manager in the tunnel is disgusting, causing our manager to have blood pouring from his face! "People like you don’t deserve a place in the game of football you are foul. The post match interviews from both sides were cancelled.